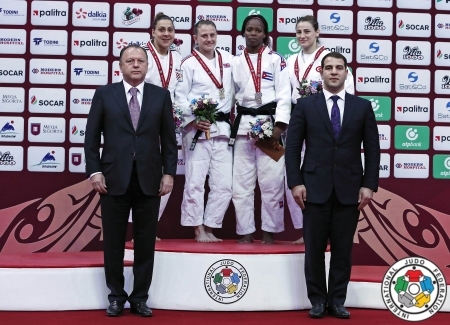 Nekoda Smythe-Davis got her year off to a good start as she won -57kg bronze at the 2019 Tel Aviv Grand Prix on Thursday 24 January. 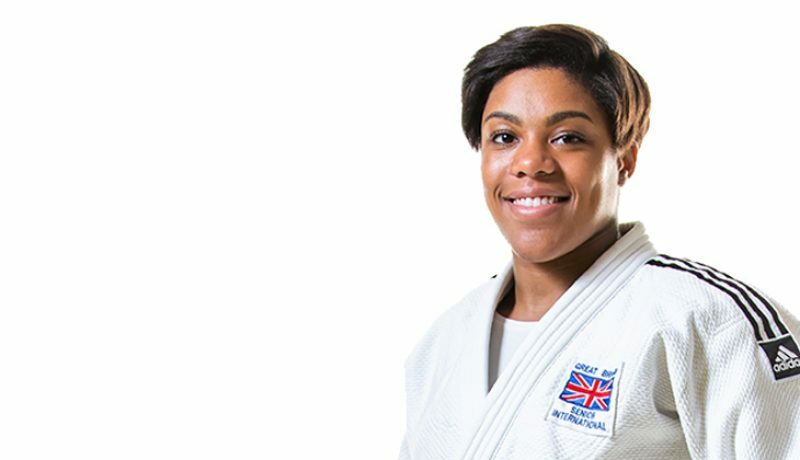 This was the British judoka’s eighth Grand Prix of her career to date and her first since 2017. The two-time World medallist had a bye into the second round where she faced Spain’s Jaione Equisoain (ESP). The British fighter showed her class as she took control after an even start to throw Equisoain for ippon with harai-goshi. This setup a quarter-final against Daria Mezhetskaia (RUS) and Smythe-Davis looked comfortable but was caught by a nice piece of ashi-waza and thrown for ippon. Smythe-Davis dropped into the repechage final and went into golden score against Poland’s Julia Kowalczyk. 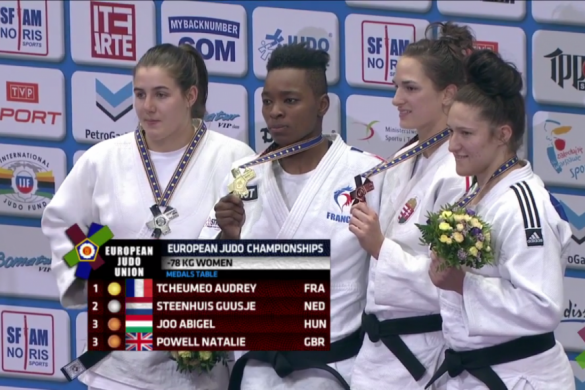 She made no mistake this time as she threw Kowalczyk for ippon with a big standing seoi-nage to secure her place in the bronze medal contest against France’s Helene Receveaux. Smythe-Davis had beaten WRL 14 Receveaux for the first time at the 2018 Guangzhou Masters, having lost her first five contests to the French judoka. It was another close contest with the two World medallists having multiple chances to score. The British fighter looked stronger as the fight went on and repeatedly put Receveaux on the defensive. That pressure told in golden score as she forced her opponent to put in a false attack, resulting a third shido. There was also a fifth place for Ashley McKenzie at -60kg. Friday 25 January will see Lucy Renshall (-63kg), Alice Schlesinger (-63kg) and Eric Ham (-73kg) in action. Competition starts at 0900 UK time with live stream via live.ijf.org. 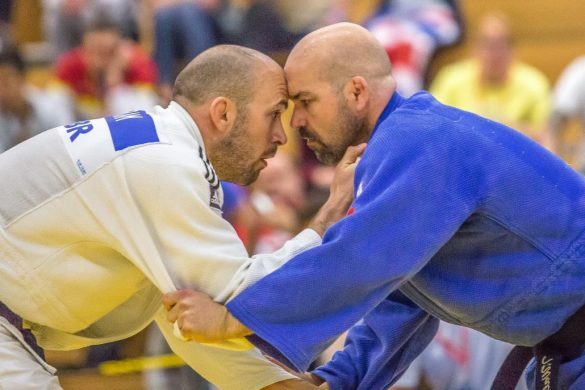 Follow @BritishJudo on Twitter for live updates throughout the day.